Pāʻuohiʻiaka is a member of the Morning glory family (Convolvulaceae), which comprises some 1,650 species throughout the world. 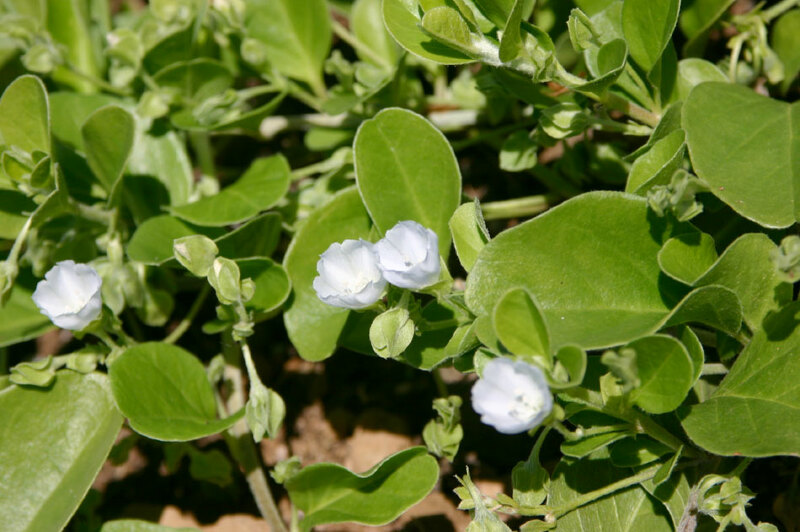 Recently, this native plant has been raised to a specific level as Jacquemontia sandwicensis, where formely it was considered as an endemic subspecies. One non-native relative, the Skyblue clustervine (Jacquemontia pentantha), is naturalized Oʻahu. Pāʻuohiʻiaka is related to some local notable eatables as ʻuala or sweet potato (Ipomoea batatas) and ung-choi or swamp cabbage (Ipomoea aquatica). Native Hawaiian family members include a bonamia (Bonamia menziesii), makihi (Cressa truxillensis), koali ʻai (Ipomoea cairica), hunakai (I. imperati), koali ʻawa (I. indica), Hawaiian moon flower (I. tuboides), pōhuehue (I. pes-caprae subsp. brasiliensis), kauna ʻoa (Cuscuta sandwichiana), and possibly the White-flowered beach morning glory (Ipomoea littoralis). The generic name Jacquemontia is named in behalf of Victor Jacquemont (1801-1832), a French geologist and botanical explorer. The specific epithet sandwicensis refers to the “Sandwich Islands,” as the Hawaiian Islands were once called, and named by James Cook on one of his voyages in the 1770s. James Cook named the islands after John Montagu (The fourth Earl of Sandwich) for supporting Cook’s voyages. Kākuaohiʻiaka. The word kākua means “to bind or fasten on, as a sarong or belt.” Pāʻuohiʻiaka or Pāʻū o Hiʻiaka is translated to mean “Hiʻiaka’s skirt,” the goddess sister of Pele. Pāʻūohiʻiaka has been viewed by some as a “weed.” Dried leaves and stems were made into a tea or mixed with niu (coconut) and eaten. Used by ancient Hawaiians to treat babies with thrush (ʻea), as a laxative for lepo paʻa (constipation), and for babies with general weakness (pāʻaoʻao). It also was used to help babies and adults with ʻeha makaʻu (frightening pains or aches). The plant was mixed with kalo (taro) leaves and salt for cuts.